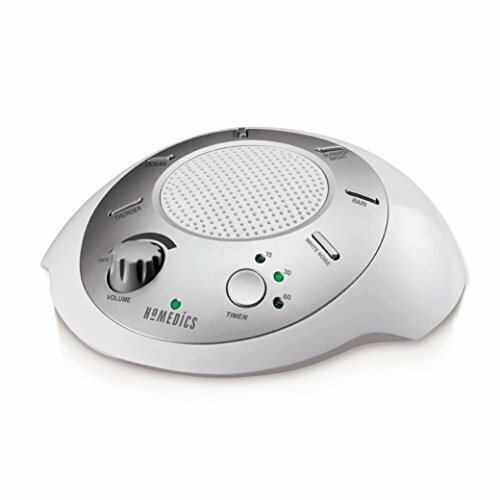 Trouble sleeping and in need of a white noise machine? Great, because they tend to do waaayyy better than poor quality and selection of digital sounds from smart phone apps as tried and tested products. We wrote you this buyers guide where we look at what makes a great white noise machine, and review and recommend the best of the best white noise machines for better sleep. During the time of writing this buyers guide, our team was debating between digital noise vs. mechanical noise. Ultimately, we felt that digital noise provided a much better experience because of the number of variations available for us to use and mix it up when one noise became stale. The LectroFan offers just that: 20 noises with ten fan variations and ten ambient variations. White is a hissy “shhhh”. Here is an example found on SoundCloud. Pink is “shhhh” with a low rumble with the bass cranked up. Here is an example found on SoundCloud. Brown is like ocean waves or heavy winds, much deeper than pink. Here is an example found on SoundCloud. Lots of choices available, you can test each one and see which one sounds the most soothing, calming, and comfortable to your liking. As a power source, the LectroFan uses an AC (alternating current) adapter that plugs into wall sockets (2-prong or 3-prong), then a USB cable cord that goes into the adapter. Alternatively, you can plug the USB cable cord into your laptop or an adapter that your smartphone is using so you can take one less item along with you when traveling. We do wish the LectroFan used batteries (like AA batteries), but we felt that the quality of the digital noise could be affected if we used batteries then the battery was low in power or if owners of LectroFan used weak batteries. So not using batteries was more of a quality control choice, in our opinion. There are three buttons on the front side of the device for powering on the LectroFan, setting a timer, controlling the loudness, and for choosing the type of sound you want to use. We would have loved more buttons to select the noise we want, but being able to flip back and forth with one button does just as fine, since we weren’t looking to continuously switch the noise every night. If you are planning to use the machine for work or study and sleep, it might be a little detail to note when needing to switch back and forth between noises. The speakers of the LectroFan is upward-facing so the sound is well dispersed through the atmosphere, projecting the noise consistently across the entire room. Speaking of which, we were able to hear very little noise projected outside the room we used the LectroFan. Our test environment had carpet flooring with one door to the room closed, so it might be a little louder for those who have hardwood floor. However, you are able to adjust the volume to suit your need. Toddlers would certainly want a more quiet white noise level as they drift into sleep. Overall, we love the LectroFan machine and its brand. 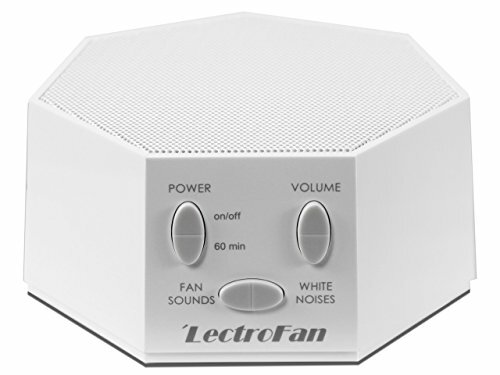 Its button system keeps things simple for use, plugging into the wall for power is fine, and having 20 digital sounds between fan and ambient white noises available is great for those who are looking for variety and wants to find the right noise for their need. The HoMedics White Noise Machine is more than half the price of the LectroFan, with less noise (6), but more interesting options and much more compact for use. What we like about the HoMedics is the individual buttons that let you select particular white noises you want. Definitely a much better improvement than clicking one button and flipping through noises until you find the one you want, but we understand this is doable with a smaller selection of noises. There are 6 digital sounds you can pick from the HoMedics: white noise, thunder, ocean, rain, summer night, and brook, all of which are natural environment sounds. Our personal favorite is the rain sound, which makes us feel like snuggling underneath our bed covers and sleep at ease but we must keep up the good work for our loving readership! Although there are only 6 noises as opposed to 20 or 1000, the selection of noises provided a great variety and choice. The ocean and white noise are great default choices for sleep, while things like summer night made us feel like starting a campfire (there are digital cricket noises with summer night). We also really like the easy twist and turn knob for adjusting the volume. The maximum volume was surprisingly loud enough to cause concerns whether it could bust the speakers. Ultimately, for use we kept it at mid point and lower for a comfortable sleep or work and study volume range. There is also a single button for setting a timed use at 15 minutes, 30 minutes, and 60 minutes with a green light indicator on which you have selected. For a power source, the HoMedics has two options: a cord plugging into the wall outlet and the device, or 4 ‘AA’ batteries. Being able to use batteries made the HoMedics a much more friendly portable choice. We were able to place it all around the room, on whatever table we wanted, and it made traveling with the device much easier as it is relatively flat and can be put into the side pockets of a purse or backpack. Overall, the HoMedics does the job very elegantly and simple. The speaker is upward facing, the auto-off setting worked splendidly, the 6 digital sounds gave enough variety for a selection of use that each had their own buttons, and being able to use batteries or plug into the wall made the HoMedics very portable. We also really like the knob for turning and adjusting the volume settings. The only minor issue we had was the green light indicator that showed it was on (as well as for the timer). We solved this issue by sticking a black tape on top of the light, although in hindsight, we probably could have turned the device and pointed it away from us. The Marpac Dohm DS (pronounced as ‘dome’, DS stands for dual sound) is a brand and machine that has been around for more than 50 years, so they are very well established as white noise machine producers. What stands out about the Dohm DS is that it uses an actual mechanical motorized fan spinning inside the device to produce the sound, which sounds much more different than a digital fan (because it’s a real fan!). The way you control the sound is by rotating the entire top part of the machine, which changes to different holes and hole sizes all around the device. You get a bit of wind from the fan, but it’s next to nothing so the Dohm DS is pretty much the fan without the wind blowing in your face. There is one button for the front of the machine that allows for three functions: turn on slow fan speed, turn on fast fan speed, and turn off. The motor for the fan works a little harder, but nothing that would break the machine if you set it on the fast speed. Overall, the Marpac Dohm is the machine if you want an actual mechanical fan for white noise. It can be great for office settings, especially if you have your own isolated room. The drawback is that it isn’t as loud as other white noise machines, so if you are in a loud environment with lots of chatter like an open office space or there are loud doors opening and shutting, you might want to consider the other two recommended above. We love the Marpac Dohm. It is a solid fan that is easy to use. If you like the LectroFan, you might like the LectroFan Kindler even more. Between the two, the difference is the Kindler is plugged directly into wall sockets, emits a soft rainbow light, and has over 70 sounds ranging from lullabies, nature sounds, and the usual ambient noises as presets. The device can be controlled with the use of bluetooth on your iPhone or Android, which means you can pick and choose music without having to reach for the machine. This also does mean you can plug it behind a drawer or somewhere far away, and still be able to change up or turn on the machine whenever you need. It uses two prongs for plugging into the wall, so two or three-prong outlets work. It doesn’t need any WiFi or internet connection, so you can continue using even when you travel to somewhere that has no safe or available internet connection. It’s tiny and portable as well. The sound quality is amazing, as expected from the LectroFan brand. We mentioned there are over 70 sounds available. Each of the sound does not have any odd end-of-track looping sound, which is a good sign of quality. Since the device is plugged into wall sockets, this means a consistent steady supply of power and you don’t have to expect the digital sounds to suddenly die off or sound funny because batteries are drained. There is a single button for turning on or off the device, although you can simply leave it on all the time unless you don’t intend to use it at all (in which case we suggest unplugging the device and storing it away). The light emits from the top of the device is a very soft set of colors. Because the LectroFan Kindler uses two prongs, you can alternatively plug it upside down and point the light on the floor. With the app, you can also control the brightness of the lit or turn it off completely. The app also allows you to control the volume of the sound. You can also set timers in 15 minute increments up to 180 minutes max (3 hours). 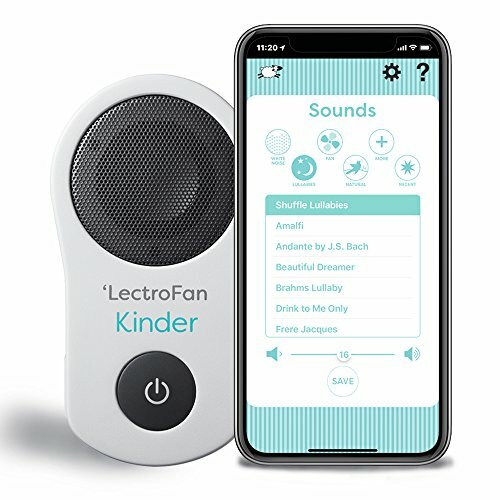 If you have a smartphone and you want to change the settings of your device without opening your baby’s door, we think the LectroFan Kindler will be the perfect white noise machine for you. Overall, the LectroFan Kindler is a product we love and adore. It is relatively new to the market, but the Kindler is well made and the app is just great to use. It might not have batteries for portable placement and use, but being able to control the device from your iPhone or Samsung/Android phone really makes this machine fun and easy to use. It’s even more convenient that we don’t have to enter the baby’s room to change settings or turn off the device. With 70 sounds to choose from, you can find the right one for your child (or for you!). Many variations of noise available. When we first began thinking about reviewing white noise machines, we found that everyone had different preferences and expectations to what white noise is best for ourselves. More noise means better odds to find a suitable noise for any sleeper (or for studying, work, and other uses). Although our team generally agreed the sound from a fan is a good starting point, we wanted more options available. One of the machines we reviewed was indeed using a mechanical motor fan for white noise (without the wind), but with different speeds available. The other machines we recommend will have more than one sound available, ranging from natural noises (ocean, rain, thunder) to ambient noises. If you are using a white noise machine for children, this can be especially important for finding the right noise to help them sleep their best. Multiple sources of powering the machine. During our research, we found there weren’t many battery-operated white noise machines, which got us curious. Our suspicion, confirmed by further research, was that being reliant on batteries meant a reduced quality of sound and increase in dissatisfaction of the product once the battery juice is used up. All the products reviewed uses a wall outlet, which is what we feel should be your primary source of power. USB is the other alternative plug-in power source, which works out great if you use a USB adapter to charge your smart phone. Seamless track loops. Easily one of the most annoying traits a white noise machine could have that we didn’t know until it happens. 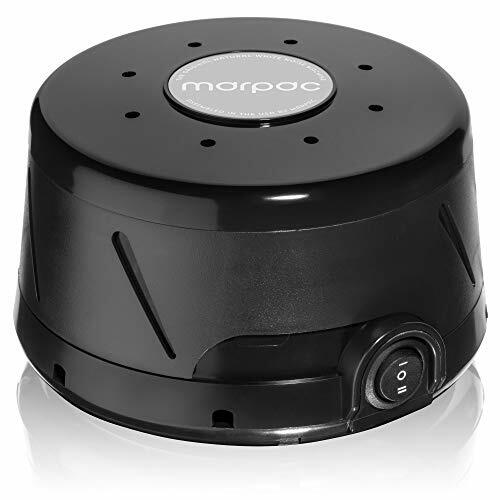 If the track loops of a digital white noise machine makes a click or abrupt stop at the end, it can be extremely disruptive. The same applies to mechanical motorized fans. We want to make sure your chosen white noise machine is seamless in sound and during replays to the point where you don’t notice any replays. Compact and lightweight. An optional trait during our research and reviewing process. Ideally, we wanted a white noise machine suitable for carrying around in (say, in a backpack or purse). Doesn’t slide on tables when you press buttons. An optional trait that became apparent to us when we began using white noise machines beside our beds. Most machines have buttons on the side with one machine reviewed having it directly on top. It was a very slight nuisance, but one we can live without as the machines that have buttons on the side weren’t extremely difficult to press. As a solution, we simply placed a heavy book or our smart phones with rubber covers behind the machine to stop it from sliding backwards. Doesn’t emit light. Light emitting from a white noise machine which are primarily used for sleep is contradictory to us. So we want to make sure the machine we pick did not shine any light. One machine we recommend did have a tiny green light to show it was turned on. Instead of writing off the machine because it is one of the best we have seen, we grabbed some black tape and stuck it over the light. Worked like a charm. Loud enough to mask most noises. When we say mask, we don’t mean actually cover up 100% of the sound. What disrupts us is the sudden spike in noise from the base environment sound.